are you allowed to (oder | orod can you) come? may (oder | orod can) I go out? is smoking permitted (oder | orod allowed) here? can you smoke here? are you allowed (oder | orod is it all right) to smoke here? did they let him go along? may I ask you for this dance? may I have (the pleasure of) this dance? 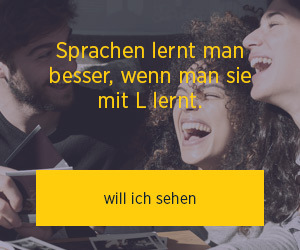 darf ich Sie bitten, das zu tun? would you be good enough (oder | orod so good as) to do that? das hättest du nicht tun dürfen! you shouldn’t have (oder | orod ought not to have) done that! that simply isn’t done! (stärker) you can’t (possibly) do that! may I (have a lookoder | or od try, turn, go) too? Beispielsätze aus externen Quellen für "dürfen"
Kitty said to herself quite horrified; and then, ' No, it is impossible, it must not be! Ja, ja, es ist so! dachte Kitty entsetzt. Aber nein, das kann, das darf nicht sein! wann dürfen (oder | orod können) wir deine Rückkehr erwarten (oder | orod mit deiner Rückkehr rechnen)? when may we expect you back?